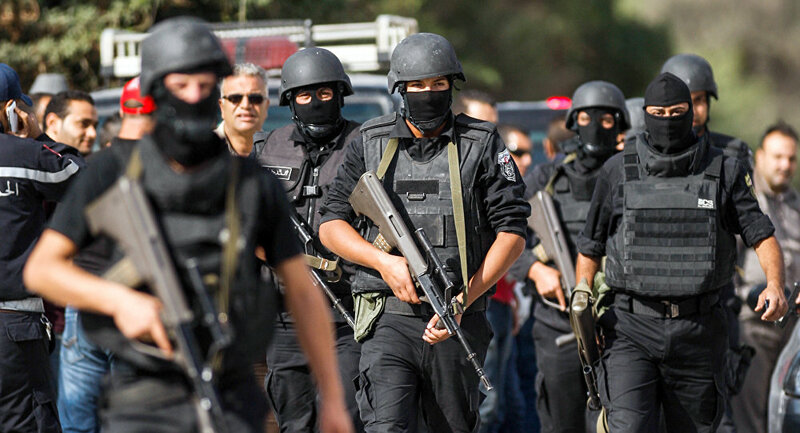 Tunisian anti-terrorist security units busted an ISIS-affiliated terrorist cell in the southeastern Medenine region, said Interior Ministry spokesman Sufian al-Zaaq, according to aawsat.com. The ten-member cell was planning to attack security headquarters and government facilities, Zaaq explained, adding that it was in contact with serious and dangerous Tunisian terrorist elements residing in neighboring Libya. They were charged with providing financial assistance to families of the terrorists, who were killed in armed confrontations in Tunisia and abroad. Sources said that these terrorists are part of a larger ISIS-affiliated cell, whose members have been hiding in Tunisia’s western mountains. On March 7, 2016, the town of Ben Guerdane was attacked by terrorists, who had received military training in neighboring Libya. They sought to establish an ISIS “emirate” in the city to extend the group’s control over other Tunisian cities. After days of armed clashes with authorities, military and security forces killed some 55 terrorists. Around 20 people, including civilians and members of the military and security forces, were also killed. The terrorist plot was foiled and it later became known as the Ben Guerdane “epic battle”. 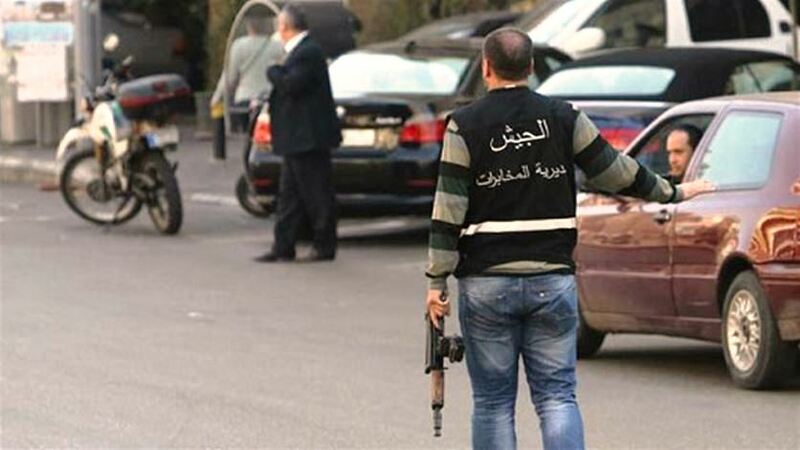 Separately, Defense Ministry spokesman Mohamed Zekri said a military unit opened fire on Wednesday evening at suspected terrorists after detecting “suspicious movements” in the western heights of El Kef. After searching the location, forces found a Kalashnikov and ammunition that were left behind by the terrorists before fleeing. They also found a backpack containing various materials and clothes. Zekri said this operation was part of ongoing efforts to crack down on terrorists that have sought refuge in the country’s western region. 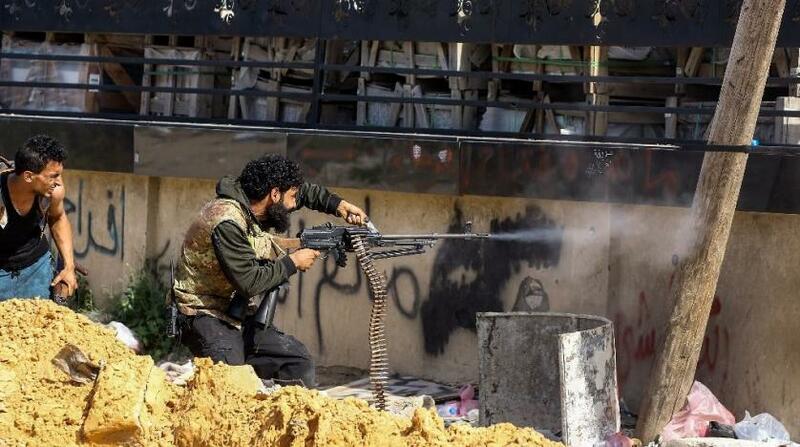 The clashes between the forces of Khalifa Haftar’s Libyan National Army (LNA) and Fayez al-Sarraj’s Government of National Accord (GNA) intensified in Tripoli on Thursday with the death toll in the fighting reaching 56, like reported by aawsat.com. The clashes in the capital’s suburbs forced thousands of people to flee their homes. The Islamist militias in Tripoli, meanwhile, prepared to hold a demonstration on Friday in the hope to rally popular support. On the diplomatic front, Sarraj addressed a message to current Security Council president Germany’s UN ambassador, Christoph Heusgen, to criticize the body’s failure to issue a resolution to condemn the LNA’s operation against Tripoli. Sarraj said that EU foreign policy chief Federica Mogherini had informed him during a telephone call Wednesday that Europe was united in demanding an end to the LNA military advance. An EU statement expressed its grave concern over the military escalation in the capital, saying there can be no military solution to the Libyan crisis. France had blocked a previous version of the statement. At the request of France, the statement was amended from its draft version to include mentions of the plight of refugees and migrants in Libya, and the presence among the anti-Haftar forces of Islamist militants designated as terrorists by the United Nations. “The military attack launched by the LNA on Tripoli and the subsequent escalation in and around the capital are endangering civilians, including migrants and refugees, and disrupting the UN-led political process, with the risk of serious consequences for Libya and the wider region, including the terrorist threat,” top EU diplomat Federica Mogherini said. Observers said that the French stance reveals the re-emergence of the dispute between Paris and Rome over the conflict in Libya. 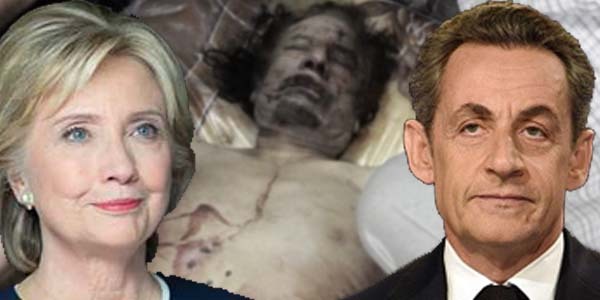 Italy is a former colonial power in Libya and France enjoys close ties to Haftar. Italy has demanded that the EU statement refrain from backing any side in the escalating crisis, while France had pushed the bloc against calling on Haftar to stop his offensive. The UN World Health Organization (WHO) said 56 people – mainly combatants though also some civilians including two doctors and an ambulance driver – had been killed, and another 266 wounded in Tripoli. It was not clear if this included the toll given by the LNA for its soldiers – 28 killed and 95 wounded since the start of the offensive last week. The number of people forced out of their homes by fighting rose to 8,075, the UN migration agency IOM said. The EU also evacuated staff of its 20-member mission in Tripoli. The German news agency and Tunisian media said that the staff and diplomats had arrived in Tunisia. 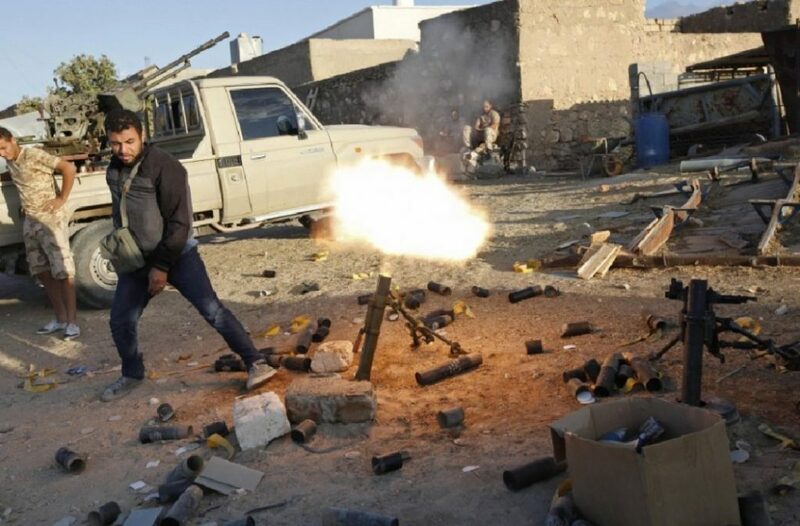 On the ground and amid heavy clashes, the LNA said that it killed dozens of militants and destroyed several of their armored vehicles in the al-Sawani suburb in southern Tripoli. 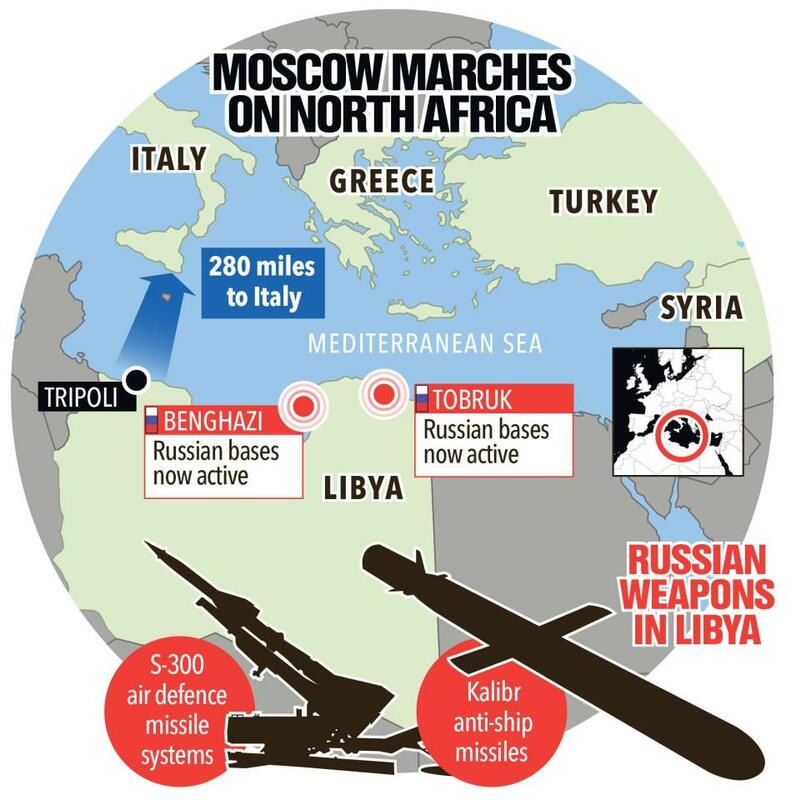 It added that major military reinforcements had arrived in from the east as the Tripoli fighting entered its ninth day. The 9th Brigade, Tarhuna, advanced on the al-Khalla region as pro-GNA forces from Misrata fled the area, it revealed. The LNA is marching on Tripoli from the east and southeast. The western front is being defended by pro-GNA forces. LNA troops in the east are trying to contain the resistance thrown up by the Misrata forces. The army said that several youths, who were among the western region militias, had contacted the LNA, expressed their support for Haftar and laid down their arms. 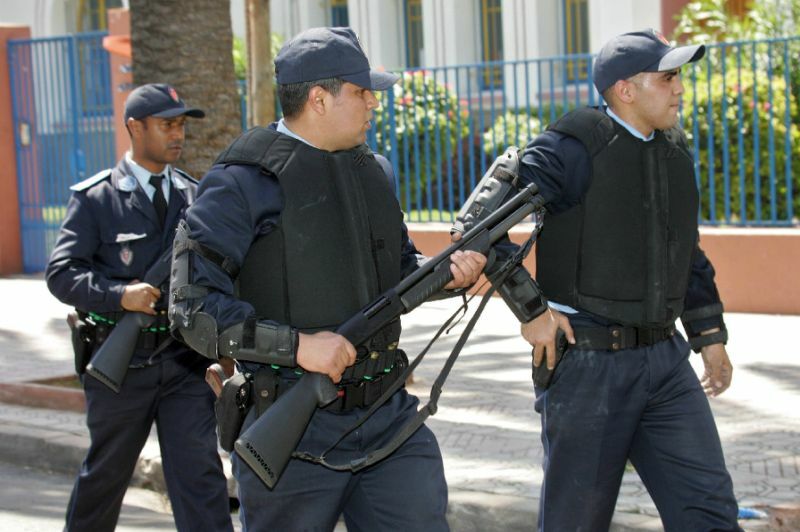 Morocco’s Central Bureau of Judicial Investigation (BCIJ) has arrested 13 people, whose ages range between 22 and 44, on suspicion of forming a cell linked to the ISIS terrorist group, the interior ministry announced, according to aawsat.com. During the raids, the authorities seized electronic devices, knives, masks, manuscripts promoting extremist ideology and a document in which the suspects have pledged allegiance to the ISIS leader, the ministry said in a statement. The suspects were propagating ISIS ideology and plotting terrorist attacks in the country, it said, adding that they have been remanded in custody for further investigation. The network’s arrest came only two weeks after the authorities broke up a three-member terrorist cell. The suspects ranged in age from 18 to 31. Since the Casablanca bombings in 2003, Morocco has adopted stringent counter-terrorism measures by breaking up several extremist cells and stopping potential attacks in France, Belgium, Denmark, and other states. In one of the most recent operations, Moroccan authorities have arrested a total of 22 people in connection with the murders of two Scandinavian tourists in mid-December. They include four main suspects who belonged to a cell inspired by ISIS ideology, but none of the four had contact with members of the terrorist organization in Syria or Iraq, Morocco’s counter-terror chief Abdelhak Khiam told AFP earlier this week. Spokesman for the Aid and Emergency Service Osama Ali confirmed the receipt of names of the dead, who have been kept in Tarhouna’s Hospital, after receiving the official list of fatalities in Tripoli, in preparation for the exchange of bodies between Tripoli Protection Force of and the Seventh Brigade of Tarhouna, like reported by libyaobserver.ly. Ali clarified in a press statement that the total casualty count of the recent clashes of southern Tripoli has increased to 29 people after the documentation of 13 new bodies, which were registered missing before the two parties agreed to cooperate in identifying the dead, who both withheld. France has no interest in restoring calm to war-torn Libya, Italy’s Deputy Prime Minister Matteo Salvini said, like reported by middleeastmonitor.com. “In Libya, France has no interest in stabilising the situation, probably because it has oil interests that are opposed to those of Italy,” Salvini told a local TV channel. A war of words continued between Rome and Paris this week. Earlier on Monday, the French Foreign Ministry summoned the Italian Ambassador to France, Teresa Castaldo, to protest remarks made by Italian Deputy Prime Minister, Luigi Di Maio, who accused France of “impoverishing Africa” ​​and escalating the refugee crisis. The office of France’s Minister for European Affairs, Nathalie Loiseau, said on Monday that the Italian ambassador has been summoned following unacceptable and unjustified statements made by Italian officials. Egypt says at least seven troops, including an officer, have been killed in clashes with militants in recent operations in restive northern Sinai Peninsula, like reported by miamiherald.com. It says airstrikes destroyed 56 vehicles containing weapons and ammunition in the Western Desert, south and northeastern border areas. 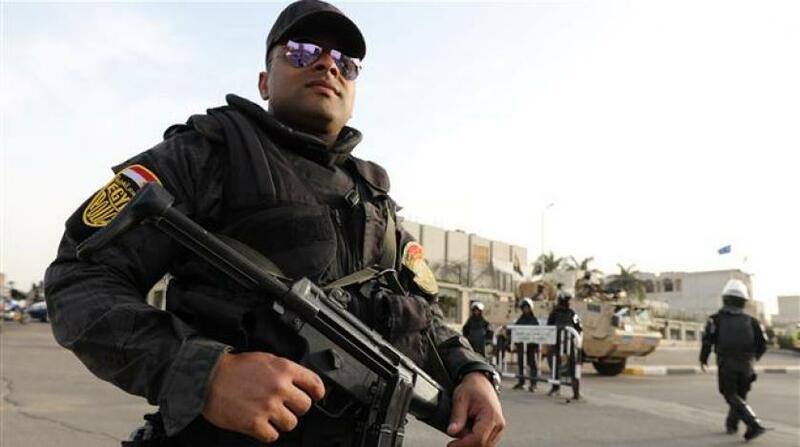 Egypt launched a nationwide operation against militants last year. It has struggled to defeat a long-running insurgency in Sinai, which serves as a base for Egypt’s Islamic State affiliate. The Algerian military has discovered a weapons cache containing six missiles near its borders with Mali and Niger, the Defense Ministry said according to aa.com.tr. “During search operations in the southern Tamanrasset province, an arms cache was discovered containing six BM-21 Grad missiles,” the ministry said without elaborating. 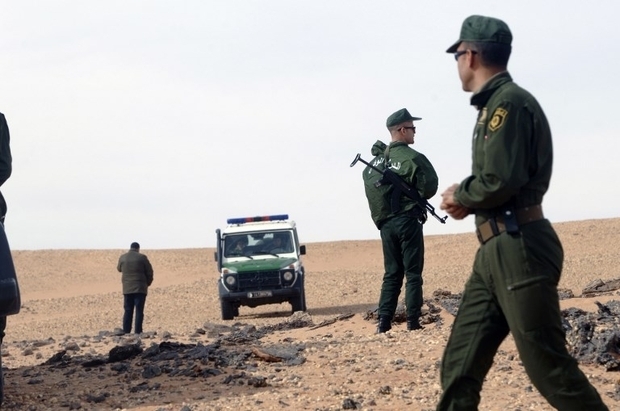 In recent years, Algeria has deployed troops along its southern border with Mali and Niger — and along its eastern border with Tunisia and Libya — with a view to preventing terrorists and smugglers from entering the North African country. The Israeli military launched a test for its new Arrow 3 interception missile on Tuesday morning, after an exchange of fire with Iranian forces in Syria put the region on high alert over the weekend, like reported by i24news.tv. A dummy target was launched just before 7 am in central Israel, with its scope engineered to imitate a long-range ballistic missile, the kind of weapons that it is built to bring down. “Arrow Weapon System radars detected it and transferred the data to the battle management control, which then established a defense plan,” a statement released by the Ministry of Defense read. “At the right moment, the Arrow-3 interceptor was launched towards the target and successfully completed its mission,” it added. 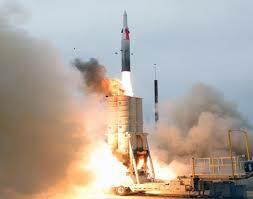 The test was completed in partnership with other branches, and the US Missile Defense Agency (MDA). The Arrow 3 is the third iteration of a rocket in a joint project with the USA, first launched in 1988 as part of the then Star Wars program under late US president Ronald Reagan. Arrow is the jewel in Israel’s multi-layered defense system, one of the most powerful weapons of its kind in the world. Able to intercept missiles at greater ranges, heights and travelling at faster speeds, it has significantly upgraded the Jewish state’s aerial defense mechanisms in the face of emerging threats. It was built with Iran in mind, and all eyes were turned towards Tehran when Israel announced the successful test on Tuesday. Israel attacked a reported 38 targets inside Syria in the night of Sunday, taking the unprecedented step to publicize the attack as it was happening. The attack, which the Israeli military said was an answer to an earlier surface-to-surface missile launched into Israeli territory by Iranian forces in Syria, destroyed at least two Iranian bases, one weapons depot, and several Syrian air defense batteries. It killed 11, according the Syrian Observatory for Human Rights, including Iranian troops, Hezbollah operatives and at least two Syrian soldiers. This makes it the deadliest strikes by Israel in Syria since a May 2018 offensive that killed 23. The May attack followed the same protocol, with Israeli jets responding heavily to incoming Iranian fire from Syria. The Arrow test definitely constitutes a show of force as Israel amps up its rhetoric against Iranian encroachment in war-torn Syria, amid a surprise US pullout. The Israeli political establishment is also facing snap election in April 9th, with security, and especially Iranian influence in the region, a major concern within the Israeli public. On Tuesday, former chief of staff and defense minister Moshe Ya’alon blasted the prime minister for publicizing the IDF’s moves for political reasons. He called it “finger-tapping in the eyes of the other side, forcing it to respond,” the former defense minister said in an editorial in Israeli daily Maariv, indicating that Netanyahu had consistently broken with IDF customs of secrecy. Reactions from the Russian establishment, a Syrian ally with presence on the ground and that supplies Damascus with weaponry and logistical support, remained laconic and factual. This is despite numerous reports that Moscow has become frustrated with Israel’s ballistic incursions threatening their attempts at normalizing the Syrian regime. Israelis are careful to manage their relationship with Russia, but consider Iranian presence on Syrian territory a major security threat. Arrow-3 constitutes the fourth pillar and highest level of Israel’s multi-layered defense system. The other tiers include the Iron Dome system for intercepting short range missiles, ‘David’s Sling’ a medium-range missile defense system and Arrow-2 weapons system for long-range rockets. The primary contractor for the integration and development of the Arrow Weapon System is MLM of Israel Aerospace Industries (IAI) along with America’s Boeing, Elta, Elbit Systems, IMI, and Rafael. Despite testing difficulties delaying its launch, it was declared fully operational in July last year, after a successful test in February. The Arrow project is costly – every ‘interceptor’ costs $3 million dollars, and the two partners reportedly paid more than $130 million on the program in 2018 alone. Initially budgeted at $1.6 billion, Arrow has until now cost more than $3.7 billion dollars, with the USA picking the larger part of the bill.